All great things have to end eventually. 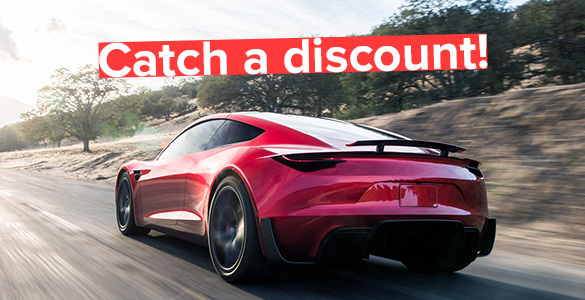 Summer is almost over but you still have a chance to grab a nice discount on that car upgrade that you've been putting off for so long! Couldn't find what you were looking for in our sale? No worries! We also offer the best prices on selected products in our stock. Some of those products are in limited supply, so if you find something interesting – be sure to grab it right away as it may not be available later. All Mercedes-Benz owners are in luck, as new camera adapters for various Mercedes-Benz models have just appeared in our stock. The best thing about these devices is how simple it is to connect them. No need to mess around with car wiring and worrying about damaging something or voiding car warranty - everything is Plug&Play! Just hook up all of the connectors...And voila! Cameras are ready to be installed! Stay tuned for more, we have tons of new stuff coming your way! Shipping costs can sometimes be quite a burden, can't they? With Car Solutions you can say Farewell to such burdens! 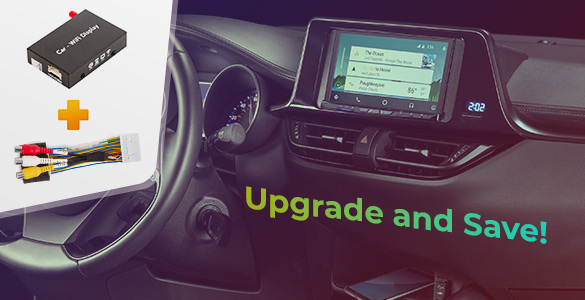 Upgrading your car has become even more convenient now thanks to tons of new products with free shipping: navigation, video adapters, TV receivers and so much more. 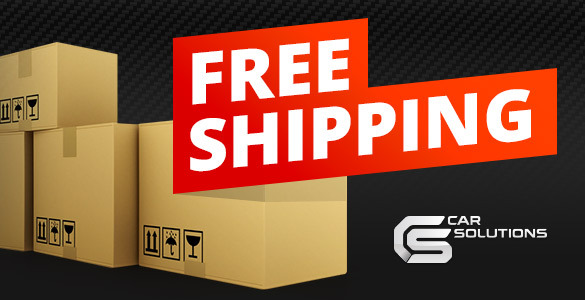 Take advantage of our free shipping offers and enjoy new capabilities of your car! Summer is done with, and autumn blues is creeping in? Well, we've got a great remedy for you – discounts! For the entirety of the next month, we are offering great discounts on our Plug&Play cables. Why would I need such a cable, you might ask? 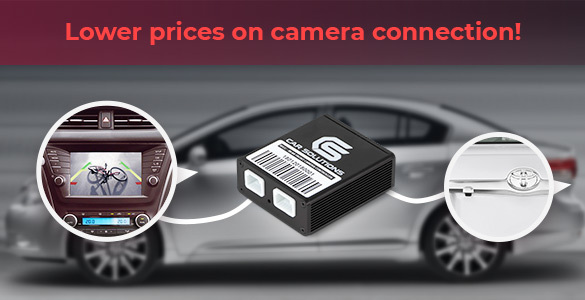 Simple: our cables are probably the best solution on the market for fast, easy and cheap connection of front view cameras, rear view cameras and other video devices in your car. And now it is even cheaper! Have you visited our Garage Sale yet? We generally offer a wide selection of cameras, accessories, video and audio adapters with great discounts. Now it has expanded even more. However, in true fashion of a garage sale, some items are in limited supply. So hurry up to our online store and don't delay with your purchase. You can always count on Car Solutions to bring you the best prices on car electronics! Great news – our bestseller is becoming even more affordable! 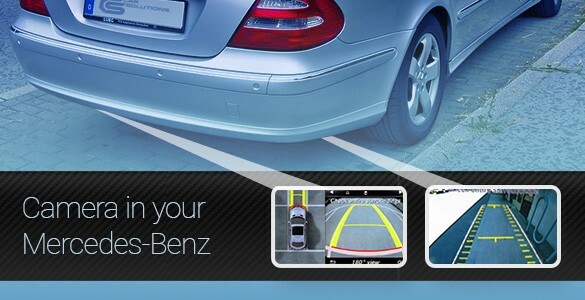 With the help of RFCC camera adapter you can connect both front and rear view cameras in a matter of minutes. 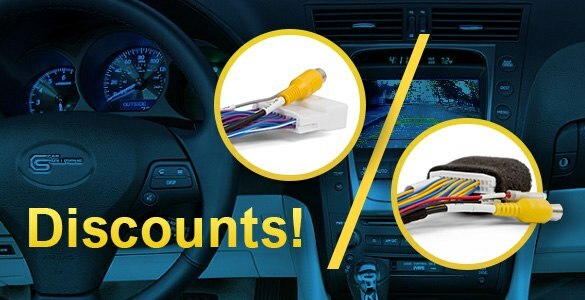 It offers simple Plug&Play connection, so you know there is no risk of damaging something or voiding your car warranty. Not only that, but you will also be able to control these cameras with OEM steering wheel buttons – no need to install additional switches that will stick out like a sore thumb in the car interior. And now this awesome gadget is even more affordable as we have permanently cut the prices on all RFCC systems. Don't delay, get on with your purchase until we're all sold out! Looking for navigation with simple installation and a price that does not bite? Look no further! ROiK navigation boxes do not require any additional equipment and can can be connected in your car with a simple Plug&Play cable. They have inputs that you can use to connect other devices, like cameras or an HD player, while the Android platform allows you to install virtually any app from Google Play. Now these multifunctional devices are available at the best price in our Garage Sale. 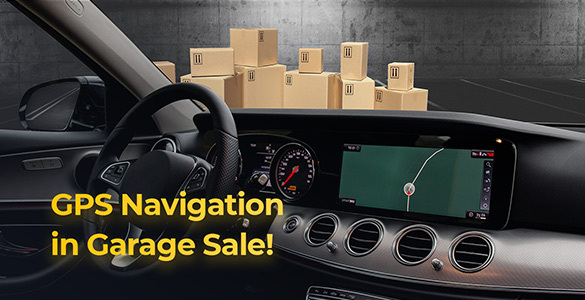 Come by our online store and get a bargain on navigation! 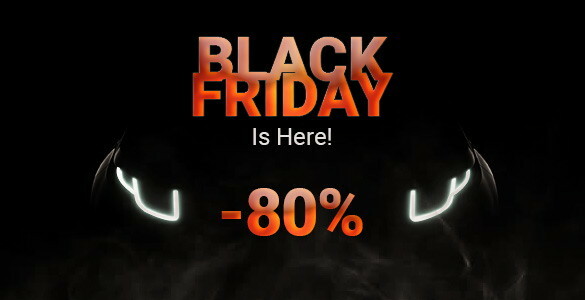 The wait is over – Black Friday is finally here! 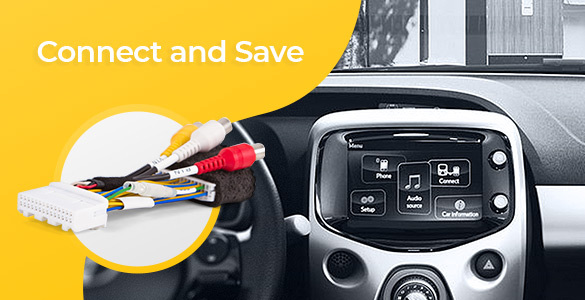 Save up to 80% on cameras, navigation, smartphone adapters and all sorts of cool gadgets for your car. The juiciest deals of the year are just one click away. All offers are on first come, first served basis. So don't hesitate – grab a bargain while there's still time, sale ends at 07:00 (UTC/GMT +2), 27th of November! Upgrading or adding new features to your car can be a frustrating process. Spending hours on the internet looking at different items and worrying whether they fit your car or whether they go together is not too much fun. No more! Not only do they save you time, they also save you money – up to 20% on the items included in the kit. Hurry up to our store and save a bunch with our special kits! Ho-ho-ho, holiday season is upon us and it's the perfect time for presents! 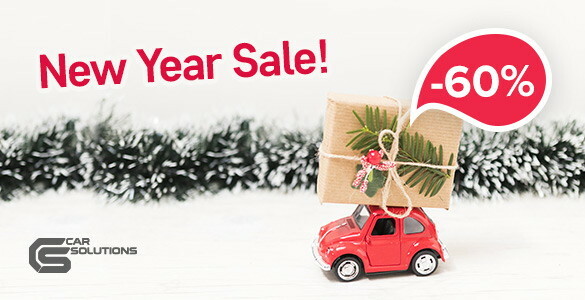 That's why until January 21st, enjoy discounts up to 60% on selected car electronics in our special New Year Sale. Find GPS navigation, cameras, smartphone adapters, accessories, and all sorts of cool stuff at the best price. So don't linger, start celebrating early! Start your 2019 right with our Holiday Sale! Find GPS navigation, cameras, smartphone adapters and tons of cool stuff with discounts up to 60%, only at Car Solutions. Don't waste any time, the sale ends soon and there may not be enough presents for everyone to go around! 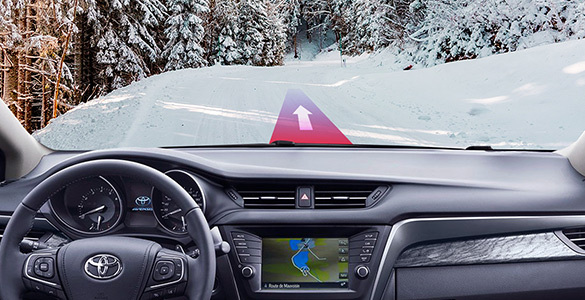 New year has already begun, it's time to plan your trips, and upgrade your car navigation. All Toyota owners are in luck, as we've got just what you need! With our new navigation system in your Toyota you can forget about getting lost or wasting time on looking for the correct way. Up-to-date maps with all the necessary information will be in your monitor. But that's not all. Besides a reliable and easy-to-use navigation you also get a bunch of bonus features. Play music, watch videos and take full advantage of the powerful Android 6.0 OS that lets you install almost any app from Google Play. You'll be amazed by how much more comfortable and fun your travels can get! Camera and video connection cables are among the best (if not the best) solutions for car upgrade that do not require huge costs or tons of effort. All cables are Plug&Play, which means you don't have to mess with car wiring or worry about voiding your warranty by damaging something. Just connect the cable to the required connectors and you are all set. We offer a wide selection of camera and video cables, which we also constantly update. All cables are tested by our engineers to ensure the highest quality of every unit. You can find all cables in our easy-to-use selection wizard. Pick the cable that fits your car and improve the way to travel! Bargain prices on car cameras, GPS navigation, smartphone adapters & holders and tons of other cool gadgets for your car. What does this mean? 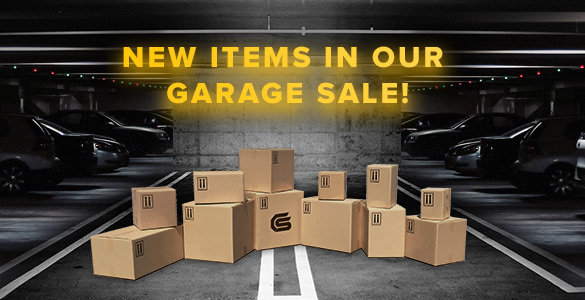 Simple – our Garage Sale continues. Keep in mind that some items are in limited supply and there may not be enough to go around. So don't hesitate and grab that bargain you've been eyeing up! Everyone wants to use their smartphone in a car but not everyone knows how to do it safely and conveniently. No worries, that is what we're for! 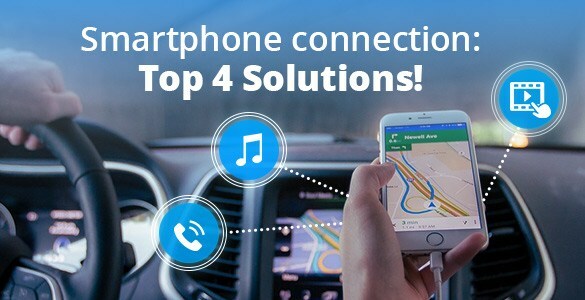 We have done extensive research on the topic and compiled a list of the top 4 best solutions for smartphone connection in a car. Learn everything there is to know about the advantages, disadvantages, additional features and all that good stuff. Then pick the solution that fits you best. You can't even imagine how much more comfortable your trips can get! Become a smartphone connection guru!